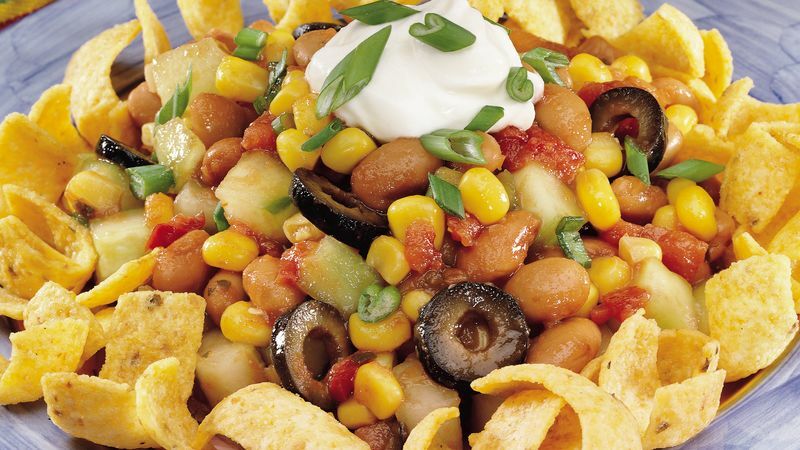 In large bowl, combine cucumbers, 3 green onions, beans, corn, olives and salsa; toss to mix. Arrange about 1/2 to 2/3 cup corn chips on each individual serving plate. Top each with about 1 1/4 cups cucumber mixture. Top each salad with sour cream and additional sliced green onions. Serve immediately.